A BMW scan tool is the right device for you when your BMW car has problems and you want to know what happened to it. This review lists out the pros and cons of the best scan tools for BMW in 2019 and picks the top 3 best choices for you in a comparison chart at the end of the article. This standalone BMW diagnostic tool is designed to offer a blend of the best features at quite a reasonable price. It can be used without having to connect it to a computer which makes it efficient for everyday use. With this BMW OBD1 and OBD2 Scanner, you can easily access your cars since it is made simple and user-friendly. 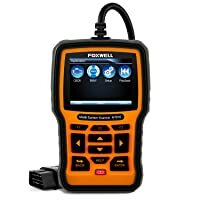 The FOXWELL NT510 is probably the best BMW scan tool for use with non-BMW cars. However, you have to pay for the software to use the tool with cars that aren’t BMWs. Despite that, you can use it with Ford, GM, Toyota vehicles, and any other car makes you can think of once you’ve bought the right software patch. 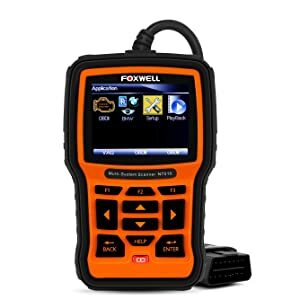 If you need a fully functional BMW OBD1 and OBD2 scan tool that supports other car models, the FOXWELL NT510 is a great option. It has everything that you might need for diagnosing car problems and start repairing them on your own. NT510 works with almost all other cars as well. You need to pay for the software patches for you to use this scan too fully if your car is not a BMW. It does not support programming — you can’t change settings on the car on your own. 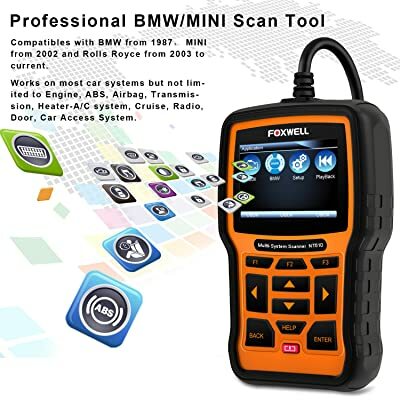 Foxwell NT510 is the best BMW Scan Tool that is built with cutting-edge features such as datastream viewer and specific error codes from its manufacturer, which makes it suitable for any BMW owner who is in a bid to save money while scanning car problems. Carista OBD2 Bluetooth Scanner is designed to enable users to gain full control of most of the electronic systems in BMW vehicles. 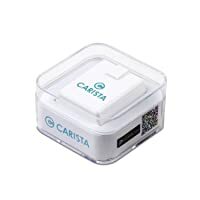 To start using this BMW OBD2 scanner, you need to configure your car’s settings with the Carista app together with the Carista Bluetooth OBD2 adapter. Carista allows you to access the e-tools for servicing your car by yourself. With One-click, you can service your electronic parking brake, reset your oil service indicator or check your launch control. To access manufacturer specific diagnostics and customizations for Toyota, Scion, VW, Mini, Audi, Lexus and BMW models, an in-app purchase is necessary. This scan tool also requires the use of iOS 8 or Android 2.3 or newer. 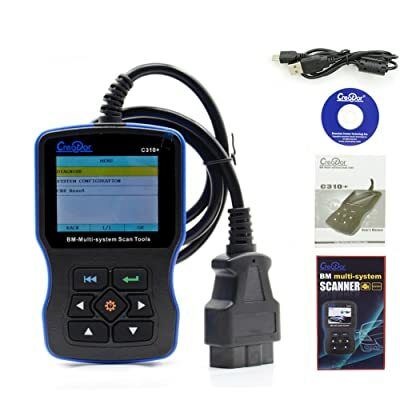 Carista is one of the best scan tools for BMW that can check, fix, track, and monitor your car performance excellently. 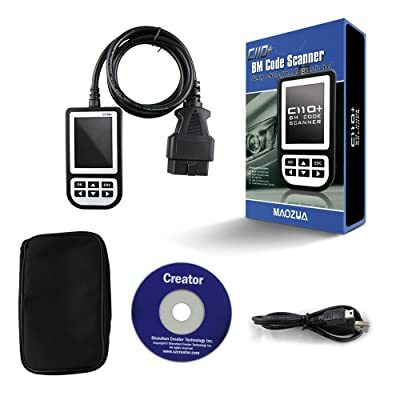 MAOZUA Creator C310+ is one of the best BMW scan tools that is perfect for any BMW owner who needs basic functionality for clearing dashboard lights at home. MAOZUA Creator C310+ is self-powered with the ability to tell you the current codes, pending codes and the monitors which have been run. This diagnostic scan tool is constructed to work with all BMW models between 1997 to 2014 years. It works by displaying live data stream and graph display and other information about your cars such as clear adaptation and engine oil reset. This BMW OBD2 Scanner is suitable for people who want to save money spent on car maintenance. It is cheap and blends popular functionalities that most BMW car owners often require. Creator C310+ enables you to fix your car on your own. 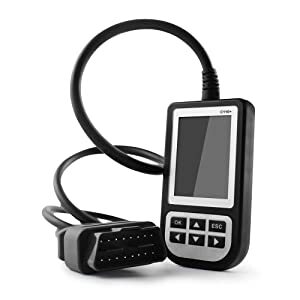 If you need to know why your stability control, ABS or check engine lights are on, then this BMW code reader is the best choice. Creator C110+ is one of the best BMW scanners that works well with any car that supports it. The MAOZUA Creator C110+ BMW code reader is designed to work well in all BMW cars released from 2000 to 2016. Its system includes an engine, auto transmission, immobilizer system, air condition, ABS, airbag among others. However, it does not support ABS on high emission cars ranging between 97-2000 – emissions 3.0 and others like 3301, 5401, 7401, and 750. Creator C110+ is one of the best BMW scanners that works well with any BMW cars covered. So, if your BMW belongs to the years 2000 to 2006, then this device is suitable for you. 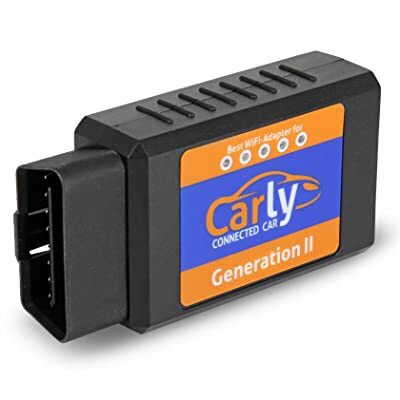 Carly is a cheap Wi-Fi BMW OBD2 scanner that easily connects to your phone. It also allows you to view, clear error codes and access your cars diagnostic data through its advanced app. This Original Carly Wi-Fi adapter can help you to link your car’s computer to an app on your phone (iPhone or Android). Even though this adapter does not come with a “pro” app, it allows you to view the error codes out of the box. Upgrading the app allows you to reset the error codes and access other advanced functionalities. You need to pay for you to use the proprietary app that links to this BMW diagnostic tool. Carly is one of the best BMW diagnostic tools that is useful for use by people who prefer using their iPhone’s interface to view data from their car. The blend of an append adapter gives you great convenience since you can even send yourself copies of the results through email. You can choose the right version for your phone below. The best BMW scan tool that suits you varies a lot depending on your needs. However, here are some suggestions for you. Bottom Line Foxwell NT510 is the best BMW Scanner because of various functionality and reliability for BMW vehicles. Carista is suitable for BMW owners who prefer mobility while running diagnostics. MAOZUA Creator C310+ suits BMW owners that want to have an afforable but reliable scanner. 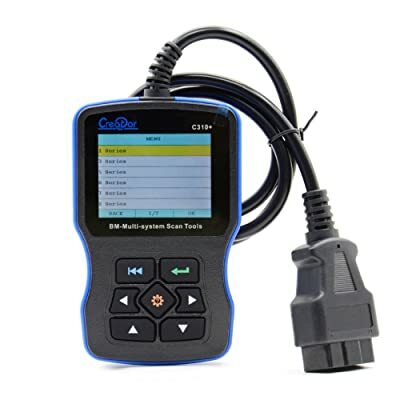 Whether you pick a cheap BMW OBD2 scanner with simple functionality or an expensive one that lets you program your BMW, you’ll save lots of money by figuring out what’s the problem with your car at home by yourself. This means that buying a tool today implies that you’ll have one available to help with any car issues that your family and friends might have in the future.